Delivers 23 Highway MPG and 19 City MPG! This Porsche Cayenne boasts a Intercooled Turbo Premium Unleaded V-6 3.0 L/183 engine powering this Automatic transmission. Wheels: 19 Cayenne -inc: 5-spoke design, one-piece design, front axle: 8.5 J x 19ET 47 and rear axle: 9.5 J x 19 ET 54, Wheels w/Locks, Trunk/Hatch Auto-Latch. This Porsche Cayenne Comes Equipped with These Options Trip Computer, Transmission: 8-Speed Tiptronic S Automatic, Transmission w/Driver Selectable Mode and Oil Cooler, Tracker System, Towing Equipment -inc: Trailer Sway Control, Tires: 255/55ZR19 Front & 275/50ZR19 Rear, Tire Specific Low Tire Pressure Warning, Tailgate/Rear Door Lock Included w/Power Door Locks, Systems Monitor, Steel Spare Wheel. Visit Us Today Come in for a quick visit at Mercedes-Benz Porsche of Lehigh Valley, 3401 Lehigh St, Allentown, PA 18103 to claim your Porsche Cayenne! This Porsche Cayenne Features the Following Options 9YAAA1 Cayenne 65,700.00 C7 Moonlight Blue Metallic 800.00 RM Standard Interior in Slate Grey 0.00 1NP Wheel Center Caps with Colored Porsche Crest 190.00 2ZH Steering Wheel Heating 280.00 3S1 Roof Rails in Aluminum Finish 830.00 43D 20 Cayenne Sport Wheels 2,110.00 4D3 Seat Ventilation (Front) 850.00 9JB Smoking Package 0.00 9ZC Smartphone Compartment 560.00 PFA Premium Package 6,610.00 .....Seat Heating (Front) 0.00 .....Ambient Lighting 0.00 .....Comfort Access 0.00 .....Auto-Dimming Interior Mirror 0.00 .....LED Headlights incl. Porsche Dynamic Light System (PDLS) 0.00 .....Lane Change Assist (LCA) 0.00 .....9VL BOSE(R) Surround Sound System 0.00 .....Q2J Power Seats (14-way) with Memory Package 0.00 .....3FU Panoramic Roof System 0.00 .....QZ7 Power Steering Plus 0.00 Total Retail Vehicle Price 77,930.00 Delivery, Processing and Handling Fee 1,050.00 Total Retail Price 78,980.00Stop By Today Come in for a quick visit at Mercedes-Benz Porsche of Lehigh Valley, 3401 Lehigh St, Allentown, PA 18103 to claim your Porsche Cayenne! This Porsche Cayenne Features the Following Options 9YAAA1 Cayenne 65,700.00 4A Biscay Blue Metallic 800.00 AM Standard Interior in Black 0.00 43E 20 Cayenne Design Wheels 1,720.00 8LH Sport Chrono Package 1,130.00 8T3 Adaptive Cruise Control (ACC) 2,000.00 QJ4 Side Window Trim in High Gloss Black 400.00 PFA Premium Package 6,610.00 .....Seat Heating (Front) 0.00 .....Ambient Lighting 0.00 .....Lane Change Assist (LCA) 0.00 .....Auto-Dimming Interior Mirror 0.00 .....Comfort Access 0.00 .....LED Headlights incl. Porsche Dynamic Light System (PDLS) 0.00 .....9VL BOSE(R) Surround Sound System 0.00 .....QZ7 Power Steering Plus 0.00 .....3FU Panoramic Roof System 0.00 .....Q2J Power Seats (14-way) with Memory Package 0.00 Total Retail Vehicle Price 78,360.00 Delivery, Processing and Handling Fee 1,050.00 Total of Charges & Taxes 1,050.00 Total Retail Price 79,410.00Visit Us Today A short visit to Mercedes-Benz Porsche of Lehigh Valley located at 3401 Lehigh St, Allentown, PA 18103 can get you a reliable Cayenne today! Boasts 23 Highway MPG and 19 City MPG! This Porsche Cayenne delivers a Intercooled Turbo Premium Unleaded V-6 3.0 L/183 engine powering this Automatic transmission. Wheels: 19 Cayenne -inc: 5-spoke design, one-piece design, front axle: 8.5 J x 19ET 47 and rear axle: 9.5 J x 19 ET 54, Wheels w/Locks, Trunk/Hatch Auto-Latch. This Porsche Cayenne Features the Following Options Trip Computer, Transmission: 8-Speed Tiptronic S Automatic, Transmission w/Driver Selectable Mode and Oil Cooler, Tracker System, Towing Equipment -inc: Trailer Sway Control, Tires: 255/55ZR19 Front & 275/50ZR19 Rear, Tire Specific Low Tire Pressure Warning, Tailgate/Rear Door Lock Included w/Power Door Locks, Systems Monitor, Steel Spare Wheel. Stop By Today Live a little- stop by Mercedes-Benz Porsche of Lehigh Valley located at 3401 Lehigh St, Allentown, PA 18103 to make this car yours today! Delivers 23 Highway MPG and 19 City MPG! This Porsche Cayenne delivers a Intercooled Turbo Premium Unleaded V-6 3.0 L/183 engine powering this Automatic transmission. Wheels: 19 Cayenne -inc: 5-spoke design, one-piece design, front axle: 8.5 J x 19ET 47 and rear axle: 9.5 J x 19 ET 54, Wheels w/Locks, Trunk/Hatch Auto-Latch. This Porsche Cayenne Comes Equipped with These Options Trip Computer, Transmission: 8-Speed Tiptronic S Automatic, Transmission w/Driver Selectable Mode and Oil Cooler, Tracker System, Towing Equipment -inc: Trailer Sway Control, Tires: 255/55ZR19 Front & 275/50ZR19 Rear, Tire Specific Low Tire Pressure Warning, Tailgate/Rear Door Lock Included w/Power Door Locks, Systems Monitor, Steel Spare Wheel. 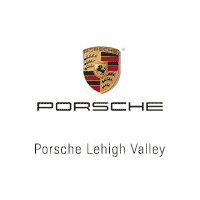 Visit Us Today Come in for a quick visit at Mercedes-Benz Porsche of Lehigh Valley, 3401 Lehigh St, Allentown, PA 18103 to claim your Porsche Cayenne! This Porsche Cayenne boasts a Turbo Premium Unleaded V-6 3.0 L/183 engine powering this Automatic transmission. WHEELS: 20 CAYENNE DESIGN -inc: 10-spoke design, one-piece design, front axle: 9 J x 20 ET 50 and rear axle: 10.5 J x 20 ET 64, Tires: 275/45ZR20 Front & 305/40ZR20 Rear, WHEEL CENTER CAPS W/COLORED PORSCHE CREST, SLATE GREY, PARTIAL LEATHER SEAT TRIM. This Porsche Cayenne Comes Equipped with These Options PREMIUM PACKAGE -inc: Comfort Access, access to lock and unlock the car without active use of the key and contactless opening and closing of the rear hatch by foot gesture, 14-Way Power Seats w/Memory Package, memory for storing personalized settings for driver and front passenger seat height, squab, backrest angle, fore/aft position, seat squab length, 4-way lumbar support, steering column and exterior mirror positions and settings for lights, wipers, air conditioning, door locking, instrument cluster and PCM on the key remote, Automatically Dimming Mirrors, exterior and rear-view mirrors, Ambient Lighting, 7 light schemes in the roof console, the front and rear door panels and in front and rear footwells including illumination of the front cupholders, Lane Change Assist (LCA), a visual signal from the exterior mirrors, Power Steering Plus, speed dependent power steering, Heated Front Seats, Panoramic Roof System, 2-panel glass power sunroof w/tinted insert and remote closing functio, 14-WAY POWER SEATS W/MEMORY PACKAGE -inc: memory for storing personalized settings for driver and front passenger seat height, squab, backrest angle, fore/aft position, seat squab length, 4-way lumbar support, steering column and exterior mirror positions and settings for lights, wipers, air conditioning, door locking, instrument cluster and PCM on the key remote , QUARTZITE METALLIC, POWER STEERING PLUS -inc: speed dependent power steering, PANORAMIC ROOF SYSTEM -inc: 2-panel glass power sunroof w/tinted insert and remote closing function, NIGHT VISION ASSIST -inc: infrared thermal image in the display cluster of detected pedestrians, deer, and other large wildlife and an audible warning, FRONT & REAR PARKASSIST W/SURROUND VIEW -inc: reversing camera, a 360-degree surround view generated from 4 high resolution cameras and a junction view, COMPASS DISPLAY, BOSE SURROUND SOUND SYSTEM -inc: 14 loudspeakers including subwoofer, 14 channel amplifier and a total output of 710 watts, BOSE Centerpoint 2 technology and AudioPilot Noise Compensation, ADAPTIVE CRUISE CONTROL -inc: radar and video based technology that monitors and automatically regulates the distance from the vehicle in the front, audible warning and active jolt of the breaks. Stop By Today Treat yourself- stop by Mercedes-Benz Porsche of Lehigh Valley located at 3401 Lehigh St, Allentown, PA 18103 to make this car yours today! Delivers 23 Highway MPG and 19 City MPG! This Porsche Cayenne boasts a Intercooled Turbo Premium Unleaded V-6 3.0 L/183 engine powering this Automatic transmission. Wheels: 19 Cayenne -inc: 5-spoke design, one-piece design, front axle: 8.5 J x 19ET 47 and rear axle: 9.5 J x 19 ET 54, Wheels w/Locks, Trunk/Hatch Auto-Latch. This Porsche Cayenne Comes Equipped with These Options Trip Computer, Transmission: 8-Speed Tiptronic S Automatic, Transmission w/Driver Selectable Mode and Oil Cooler, Tracker System, Towing Equipment -inc: Trailer Sway Control, Tires: 255/55ZR19 Front & 275/50ZR19 Rear, Tire Specific Low Tire Pressure Warning, Tailgate/Rear Door Lock Included w/Power Door Locks, Systems Monitor, Steel Spare Wheel. Visit Us Today Live a little- stop by Mercedes-Benz Porsche of Lehigh Valley located at 3401 Lehigh St, Allentown, PA 18103 to make this car yours today! This Porsche Cayenne Features the Following Options 9YABB1 Cayenne S 82,900.00 4A Biscay Blue Metallic 800.00 AM Standard Interior in Black 0.00 0P6 Sport Tailpipes in Black 950.00 2ZH Steering Wheel Heating 280.00 3S2 Roof Rails in High Gloss Black 830.00 43F 21 RS Spyder Design Wheels incl Wheel Arches Painted 3,830.00 6JA Door Handles in High Gloss Black 350.00 8SI Clear Taillights 840.00 8T3 Adaptive Cruise Control (ACC) 2,000.00 QJ4 Side Window Trim in High Gloss Black 400.00 PFB Premium Package Plus 7,330.00 .....Seat Heating (Front and Rear) 0.00 .....4-Zone Climate Control 0.00 .....Ambient Lighting 0.00 .....Comfort Access 0.00 .....Auto-Dimming Interior Mirror 0.00 .....LED-Matrix Design Headlights incl. PDLS+ 0.00 .....Lane Change Assist (LCA) 0.00 .....9VL BOSE(R) Surround Sound System 0.00 .....Q2J Power Seats (14-way) with Memory Package 0.00 15 4D1 Seat Ventilation (Front and Rear) 850.00 Total Retail Vehicle Price 101,360.00 Delivery, Processing and Handling Fee 1,250.00 Total Retail Price 102,610.00Visit Us Today A short visit to Mercedes-Benz Porsche of Lehigh Valley located at 3401 Lehigh St, Allentown, PA 18103 can get you a trustworthy Cayenne today! Scores 23 Highway MPG and 18 City MPG! This Porsche Cayenne boasts a Twin Turbo Premium Unleaded V-6 2.9 L/177 engine powering this Automatic transmission. Wheels: 19 Cayenne S -inc: 10-spoke design, one-piece design, front axle: 8.5 J x 19 ET 47 and rear axle: 9.5 J x 19 ET 45, Wheels w/Locks, Trunk/Hatch Auto-Latch. This Porsche Cayenne Comes Equipped with These Options Trip Computer, Transmission: 8-Speed Tiptronic S Automatic, Transmission w/Driver Selectable Mode and Oil Cooler, Tracker System, Towing Equipment -inc: Trailer Sway Control, Tires: 255/55ZR19 Front & 275/50ZR19 Rear, Tire Specific Low Tire Pressure Warning, Tailgate/Rear Door Lock Included w/Power Door Locks, Systems Monitor, Steel Spare Wheel. Stop By Today You've earned this- stop by Mercedes-Benz Porsche of Lehigh Valley located at 3401 Lehigh St, Allentown, PA 18103 to make this car yours today! This Porsche Cayenne Features the Following Options 9YACF1 Cayenne Turbo 124,600.00 C7 Moonlight Blue Metallic 0.00 HR Club Leather Interior in Truffle Brown/Cohiba Brown 1,990.00 0P6 Sport Tailpipes in Black 950.00 1D6 Trailer Hitch without Tow Ball 660.00 3S2 Roof Rails in High Gloss Black 830.00 3Y7 Power Sunblind for Rear Side Windows 450.00 48Y 22 Sport Classic Wheels HG Black incl Wheel Arches Painted 4,060.00 5TL Interior Trim in High Gloss Black 0.00 8LH Sport Chrono Package 1,130.00 8SI Clear Taillights 840.00 8T3 Adaptive Cruise Control (ACC) 2,000.00 9JB Smoking Package 0.00 9R1 Night Vision Assist 2,420.00 GZ2 Soft Close Doors 780.00 KS1 Head-Up Display 1,720.00 QJ4 Side Window Trim in High Gloss Black 270.00 PFC Premium Package Plus 3,690.00 Ambient Lighting 0.00 Lane Change Assist (LCA) 0.00 LED-Matrix Design Headlights incl. PDLS+ 0.00 Comfort Access 0.00 4-Zone Climate Control 0.0019 4D1 Seat Ventilation (Front and Rear) 850.00 Total Retail Vehicle Price 147,240.00 Delivery, Processing and Handling Fee 1,250.00 Total Retail Price 148,490.00.Visit Us Today Stop by Mercedes-Benz Porsche of Lehigh Valley located at 3401 Lehigh St, Allentown, PA 18103 for a quick visit and a great vehicle!